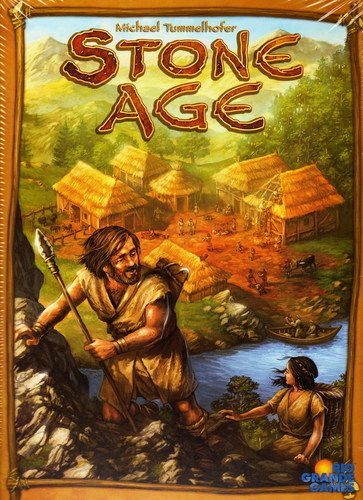 This is a review of Stone Age, one of the most successful worker placement board games out there, suitable for gamers and non-gamers alike. 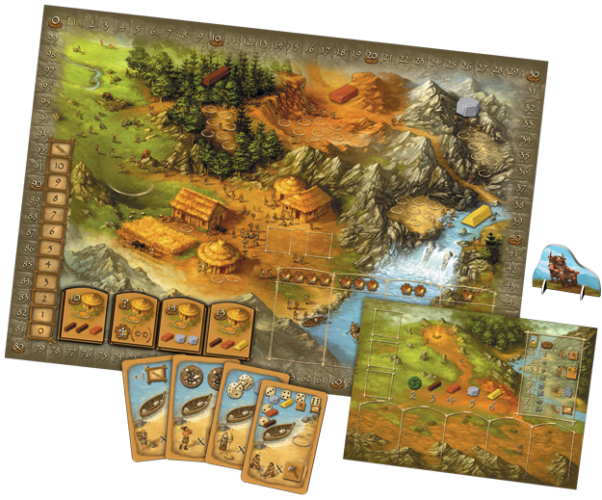 Stone Age has already reached its 4th edition by Z-Man Games. First off, let's talk about the basic rules of the game. Stone Age is a worker placement board game. Each player starts out with 5 people which can be placed in various places on the board in order to gather food and resources, make tools, construct buildings, advance in the food chain, produce more people or advance the civilization. Workers are placed in yellow "rings" and each place has 1 to 7 rings available for worker placement. Players place their workers on the board. The starting player places one or more workers on a place, then the next player, in clockwise order, places some workers and so on until all players have placed all of their people on the board. The number of rings on the board indicate how many workers can be placed in a particular location. Each player is permitted to place workers only once per turn in a specific place. Players use the actions of their placed workers. Players can choose the order in which each action is taken. Players feed their people. All workers must eat 1 food originating either from standard food production (according to placement in the food track) or stocked food. Food can be stocked by hunting in the Hunting Grounds. The hunting grounds. Here people hunt for food. This is the only place where no rings are shown and players may put as many workers as they like but remember, only once per turn! During the second phase, players roll as many dice as the amount of workers placed, and get food equal to the result of the dice divided by 2 and rounded down. Forest, Clay Pit, Quarry and River. At these locations people work for wood, clay, stone and gold accordingly. A total of 7 workers can be placed here. During the second phase, players roll as many dice as the amount of workers placed and receive an amount of the relevant resources equal to the result of the dice divided by 3,4,5 or 6 rounded down accordingly. The Hut. Only a single player can place workers here. 2 people (man+woman) are placed here in order to produce an extra worker during the second phase. The Field. Only one worker can be placed here. During the second phase, the player who placed a worker here will advance in the food track 1 space, increasing his food production. Tool maker. Only one worker can be placed here. He grants the player with an extra tool, used to reinforce the result of dice when gathering resourses. Players can use tools in dice rolling to improve the dice result by adding the value of one or more tools to the result, thus making up for a bad roll. Each tool can be used once per round. Buildings. Players place a single worker on any building. During the second phase they will pay some resources to construct the building and will be given instantaneously some victory points. Civilization cards. Players place a single worker on any card. During the second phase they will pay the amount of resouces shown on the top of the location and will be given the card along with an instant bonus (There is one exception of a card granting 2 resources that can be claimed instantly or later in the game. Each civilization card gives a bonus that will give victory points at the end of the game. Cards may reward the player for the amount of workers, tools, buildings, food production or similar cards he has. Components – Are the game components carefully designed? Are they beautiful and do they add to the value and feel of the game? Gameplay – Is the gameplay interesting enough? Does it have enough depth? Learning Curve – Is the game easy to learn or do you have to look up the rules each time you play it? Theme – Does the game give a sense of immersion? Can you imagine being in the world it depicts? Fun – Does the game make you laugh or at least have a good time while playing? Is it enjoyable enough? The gameboard is just awesome! It's very colorful and impressive. All places where you can assign your workers are depicted with beautiful detail and appear connected to one another, forming an amazing little world. The individual player boards is the place to put your food, tools, buildings, tokens and resources. 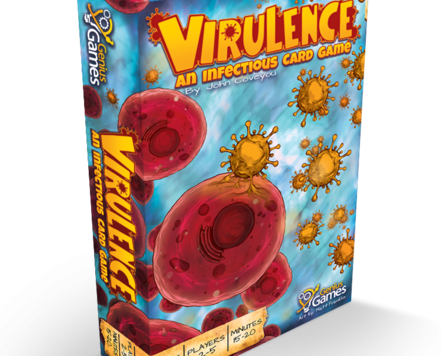 It also provides useful information about how civilization cards are used to gain victory points and what are the various multipliers for the resources. After a while you will remember these by heart but for the first couple of games it can come up handy. Resource blocks depict well each resource and the leather dice cup ensures that the dice are rolled without much noise. Gameplay is the most essential part in a game. No matter how beautiful a game looks, if it hasn't enough depth to keep you wanting for more, you will easily be bored. After playing a few games of Stone Age I realized that Stone Age is not an easy game to master. Each and every game will be a different one and players have to constantly think and adjust their gameplayand strategy according to the particular circumstances. More than often you will have to face crucial questions: Should I try to get that civ card that will give me more points or maybe should I aim to sabotage an opponent who is building up in structures? Should I make another tool or go for the field before the place is taken? One of the most intriguing aspects is the limitation of rings per location as well as the uniqueness of locations e.g the hut, toolmaker and fields. Only one player can occupy these places which makes the decision of proper worker placement pretty challenging. The most important part of the game is the first phase and players should pay attention not only to their own progress but to their opponents as well. Don't forget civilization cards when acquired are placed face down, so you must try to remember what your opponents strategy is. Dice rolling will be done extensively in the game but strangely it won't affect a lot the path to victory (partially because using the tools you make, dice results can be improved). Close attention has been paid to the variations of the game for 2-3 players, introducing new challenges and requiring a bit different strategy. For example in a 2-player game, only 2 of the 3 places: Hut, Field, Tool Maker are available, plus only one player can occupy the resource locations. Considering the fact that most games lose some of their fun factor when played with less than 4 players, this is a point where Stone Age shines. Overall I think that, although simple in implementation, the game is very challenging and can become quite addictive as the road to victory is never straightforward. The game rules may seem a bit confusing at first but after playing 2-3 games, all becomes perfectly clear and rules are very easy to remember. Individual player boards help towards that, by containing information about resource multipliers/point values and the way civilization cards work. Although the game board and components are beautifully designed and depict the theme of the Stone Age quite successfully, the mechanics of the game don't have enough depths to let you actually feel like being a caveman. Maybe if the people tokens were designed with more inspiration. Stone Age isn't a game that will make you burst in laughs in any case. There is no player interaction in any way, which some may think as a downside that affects the fun factor However, if you like strategy games, Stone Age can be very engaging and keep you nice company for a lot of hours as you struggle to find the key to success. A key that will be somewhat twisted in every game you play.